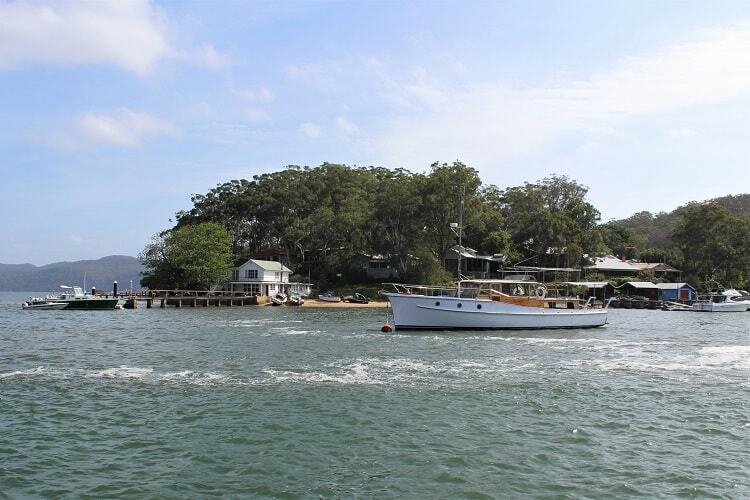 With waterside houses hidden behind the trees, stunning views in all directions across the Hawkesbury River and peaceful, car-free roads where locals move their goods using wheelbarrows, it’s hard to believe that Dangar Island is part of Sydney. 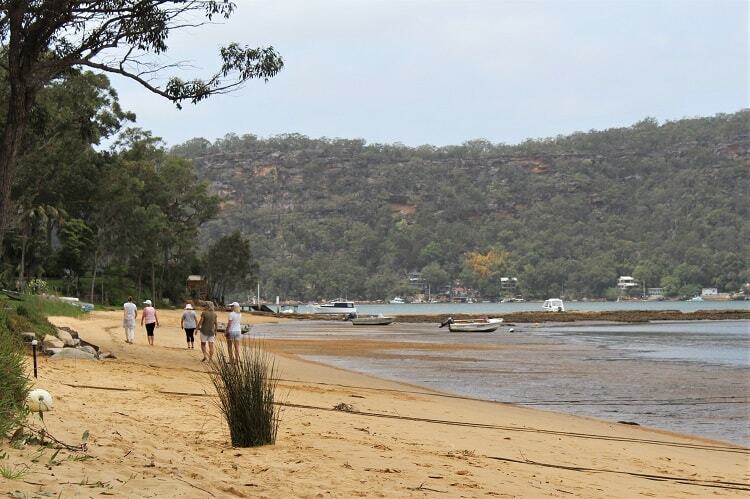 I’ve visited many untouristy places in Sydney, but I’d never even heard of Dangar Island until I heard Liane Moriarty, the author of Big Little Lies, say in an interview that she used it as a basis for fictitious Scribbly Gum Island in her novel The Last Anniversary. 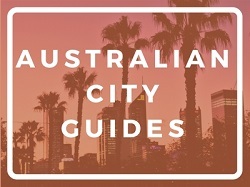 Even my Sydney-born friends didn’t know it existed! 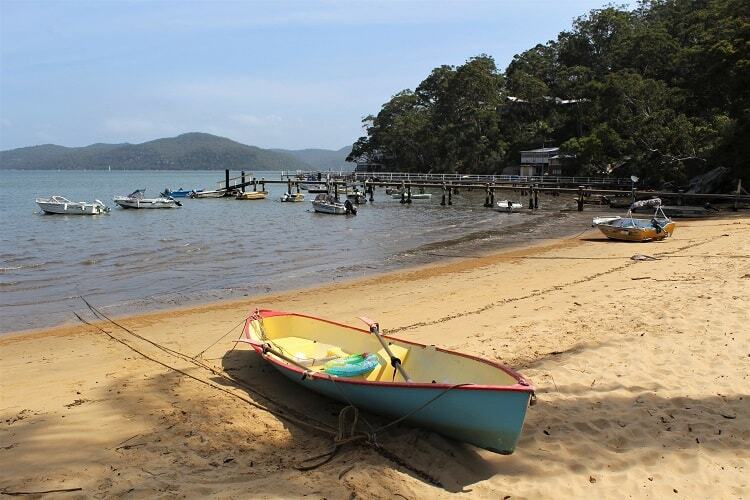 Reached by a short, scenic ferry ride from Brooklyn, just an hour north of Sydney CBD, a day trip to Dangar Island is a the perfect weekend activity when the weather’s warm. 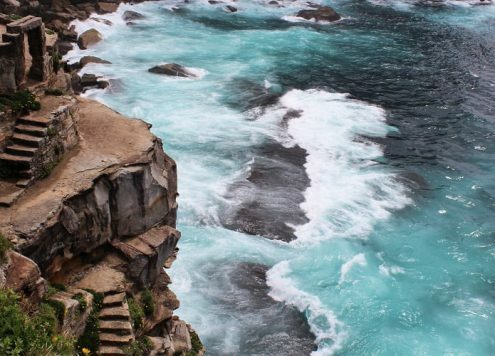 I headed up there recently to spend a few hours exploring and see if it’s as inspiring as it sounds. Here’s what I found. Ancient rock engravings high up in Kilparra Park show evidence of Aboriginal people using the island thousand of years before Europeans arrived. 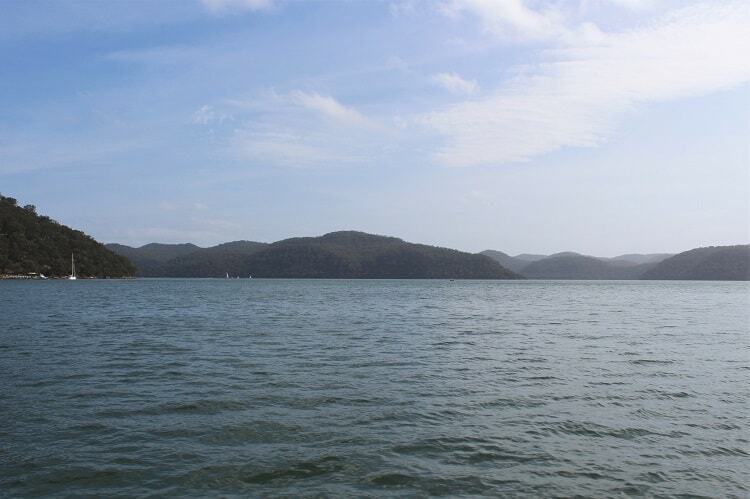 The British first discovered the area in 1788, and named it Mullet Island because of the abundance of fish in the Hawkesbury River. 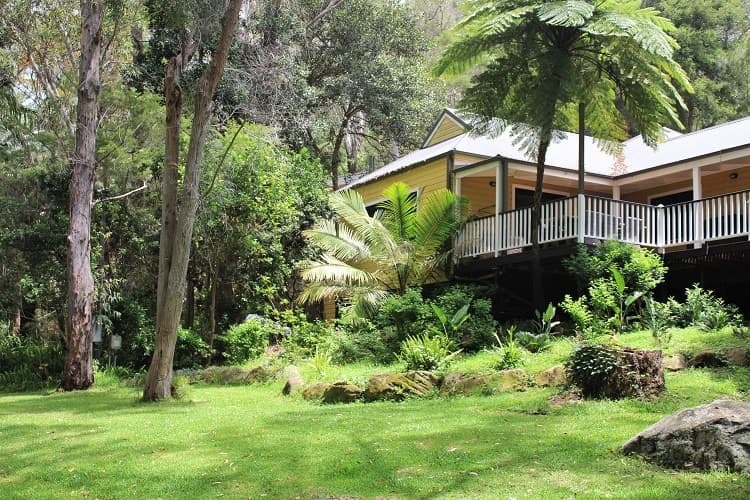 In 1864 it was acquired by politician Henry Cary Dangar, who used it as a country retreat before leasing it to construction workers who lived on the island in huts while the Hawkesbury River Rail Bridge was being built. 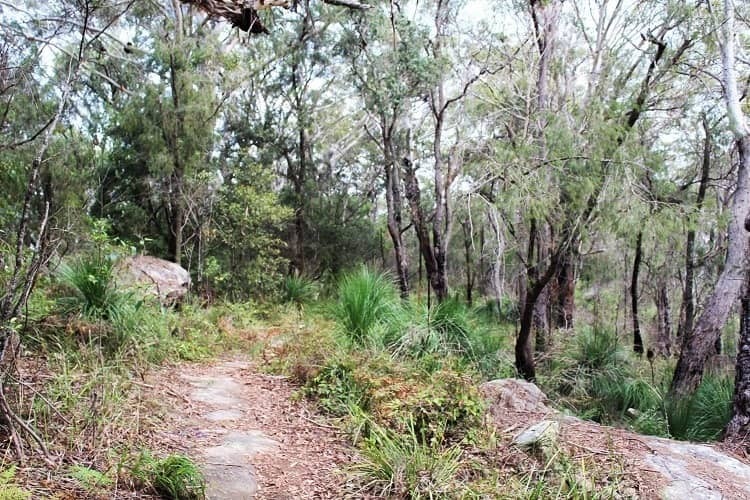 In the 1920s Dangar Island was divided into residential plots, and there are now over 200 people permanently residing there. 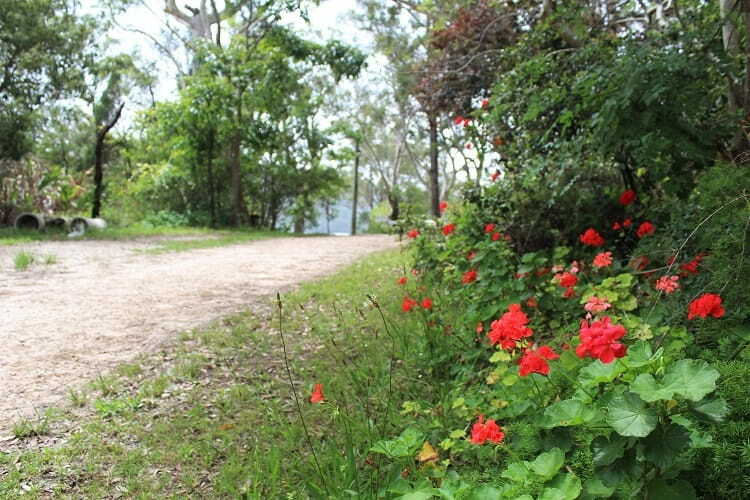 While it’s a very quiet island, there’s still plenty to do on a nature-filled day trip or short holiday to Dangar Island. 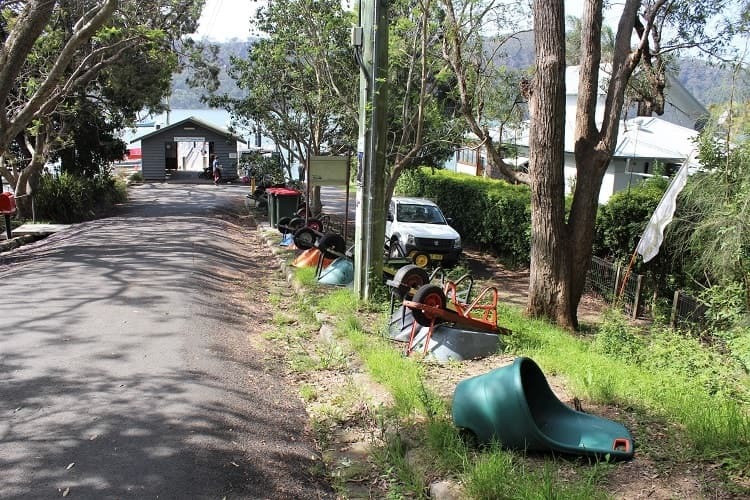 The wheelbarrows lined up at the ferry wharf are the first sign that life on the island is very different to that in the rest of Sydney! 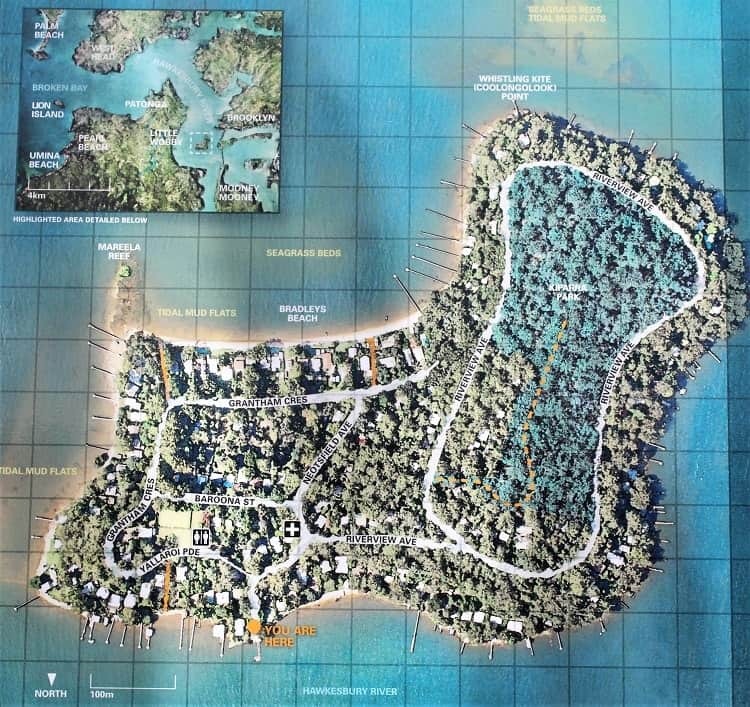 As you can see from the map of Dangar Island below, you only need a couple of hours to walk around. 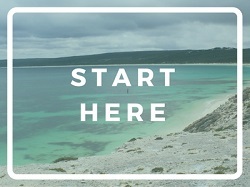 But allow longer if you want to spend some time at the beach or eat there. Here are the things I found to do. Saunter along the quiet, car-free “roads” and marvel at the island’s houses tucked away behind all the greenery. They reminded me a bit of the houses nestled into the hillsides at Palm Beach, although not quite as flashy! 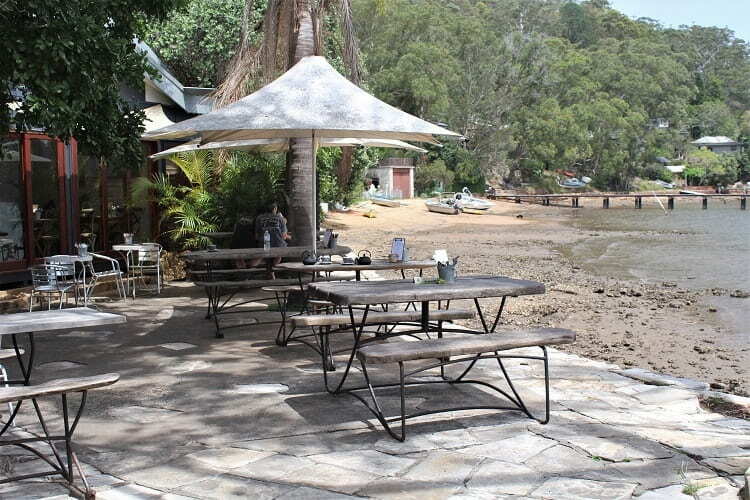 You’ll see the pretty, waterside Dangar Island Depot cafe and shop as soon as you step off the ferry. 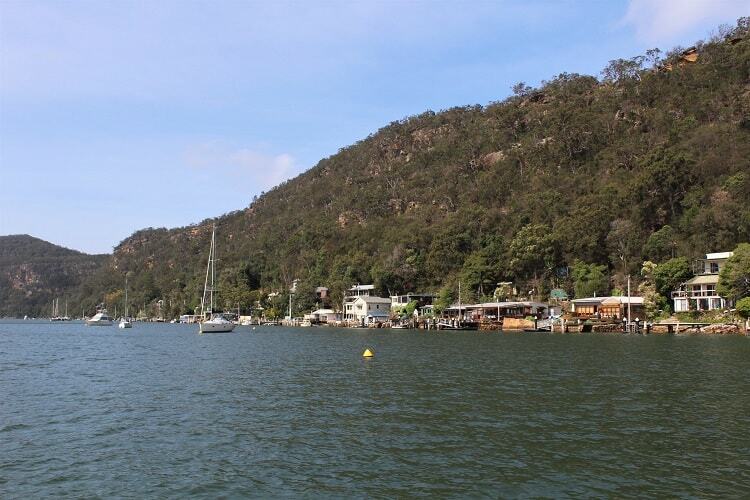 It’s an idyllic spot to stop for a coffee or lunch during your visit. 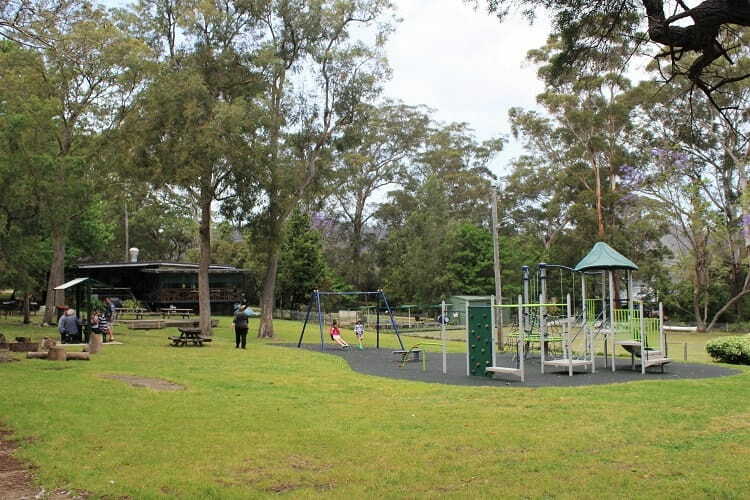 In the centre of the island is the Dangar Island Bowling Club, which has a bar as well as outdoor seating and a children’s playground. 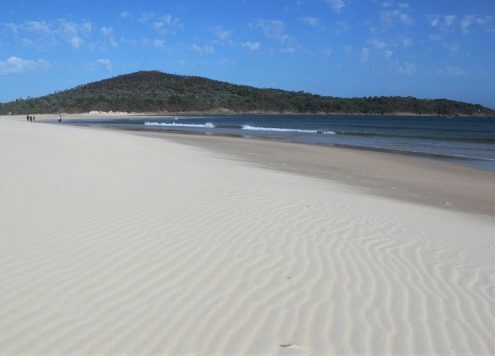 Peaceful Bradleys Beach stretches across the north side of the island, accessible by a couple of short tracks between the houses on Riverview Avenue. I went on a warm spring day at the weekend, and practically had it to myself. You’ll see a whole new way of living when you see the residents pottering around in their back gardens that lead right down to the sand! The tide was too far out for swimming when I arrived, but it came in enough later for people to paddle board and kayak. 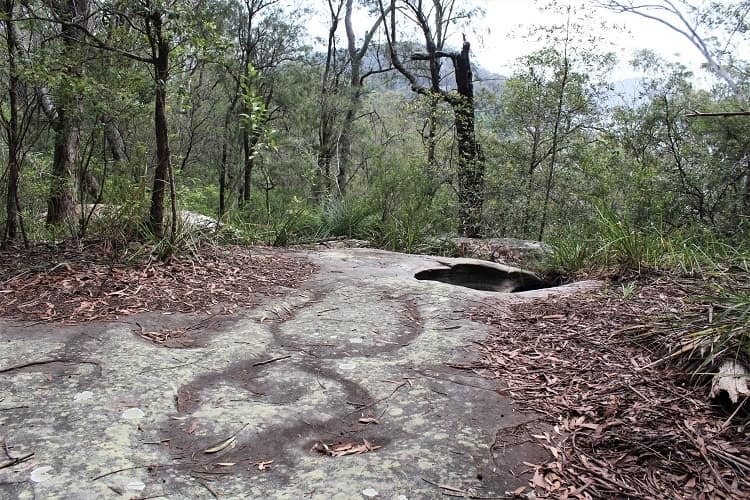 It’s well worth taking the track up through Kilparra Park to see the Aboriginal rock engravings and enjoy the views. 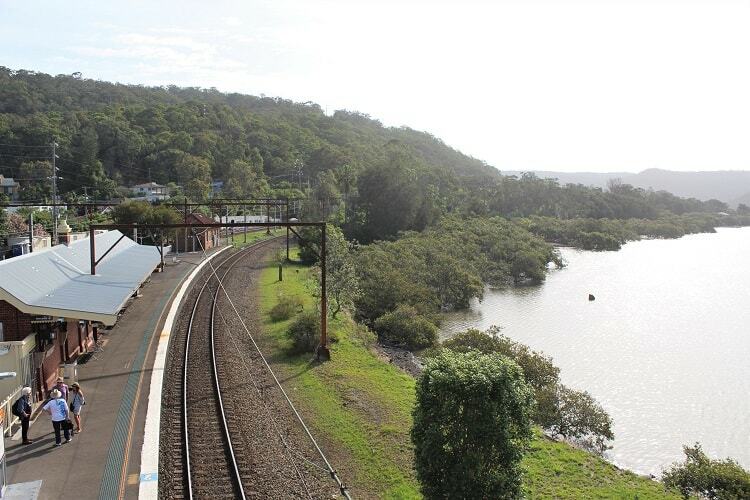 The track itself is beautiful, and you’ll get a great view of the Hawkesbury River and Railway Bridge from the top. 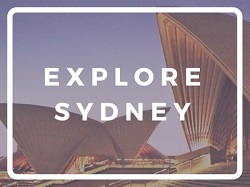 If you prefer to drive, it’s 50km to Brooklyn from Sydney CBD, and there’s plenty of parking near the wharf. I’d imagine it gets packed on summer weekends and during the school holidays though. 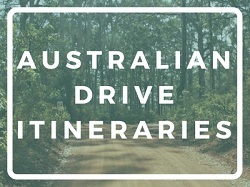 Alternatively, it’s only an hour by train from Central Station in Sydney to Hawksebury River Station in Brooklyn, which is right next to the wharf. If you travel on a Sunday it costs less than $3 return. 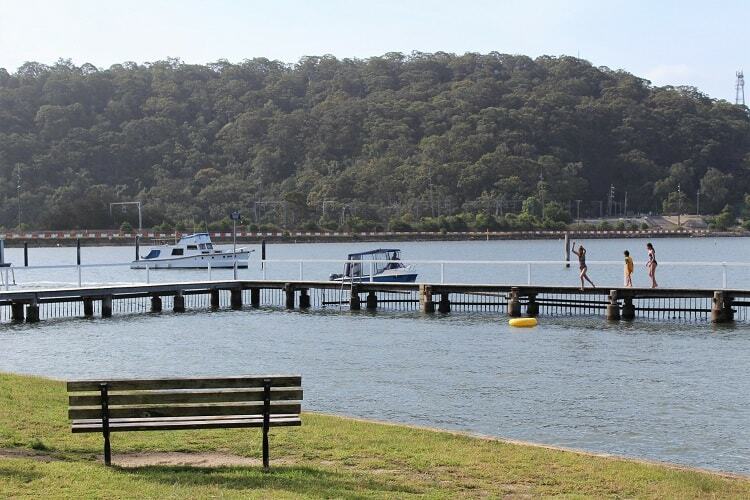 You’ll see signs to the ferry wharf from the station (they’re very close to each other), and the Dangar Island ferry either takes 15 minutes or 30 minutes each way, depending if you take the journey that stops at Little Wobby. You’ll need to pay in cash, which is $7.70 each way for adults (check the website for up-to-date pricing). 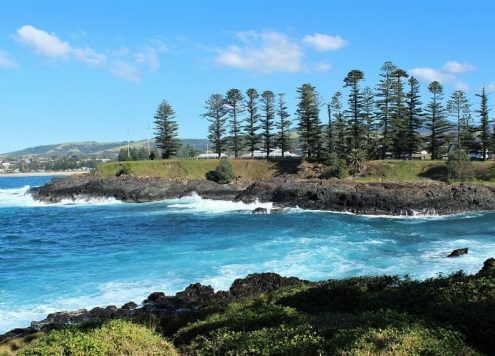 It’s worth taking the longer crossing as Little Wobby is a really pretty and unusual part of the Central Coast, with houses built right on the water’s edge that are only accessible by boat. 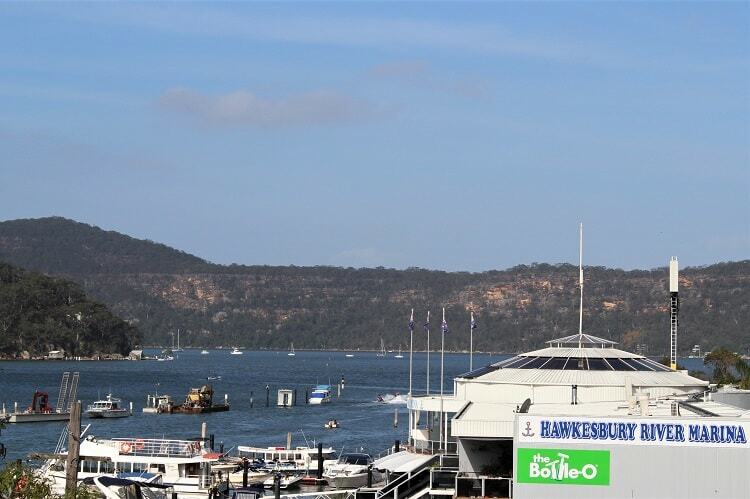 Brooklyn on the mainland is also a really pretty area right on the water, so you could add some extra time on to explore before or after visiting Dangar Island. 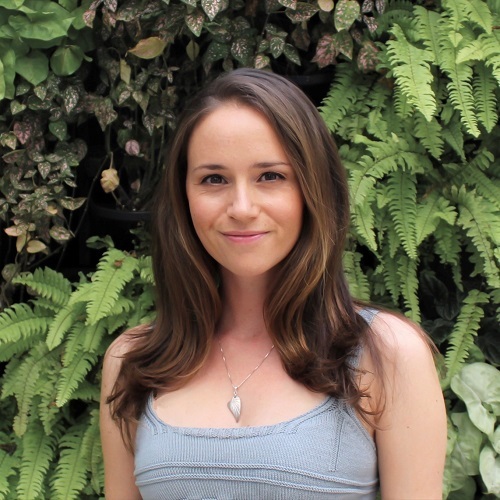 You can eat and drink at the marina, or take a walk along the water’s edge where you can swim at Brooklyn Baths and enjoy the view from the picnic areas. There are also a few eateries in the town if you head in the opposite direction from the train station, including the Anglers Rest pub, which had some great live music going on when I passed by! 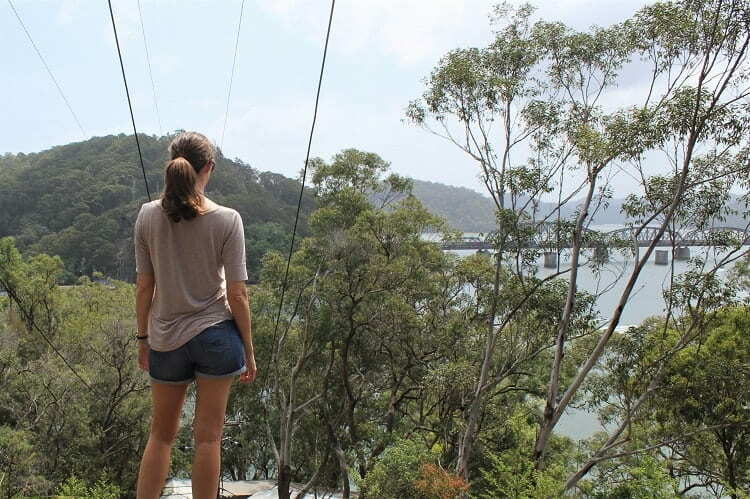 I thoroughly enjoyed my day trip to Dangar Island, and would definitely return for longer! I felt like I was in Swallows and Amazons!